It is that, surely, but it is far more. It is an essential element in the diet of not only humans but of animals, and even of many plants. It is one of the most effective and most widely used of all food preservatives. Its industrial and other uses are almost without number. Here is everything you ever wanted to know about ... SALT! 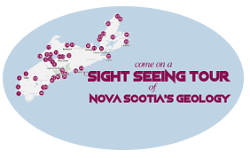 All of the road salt that helps keep Nova Scotians safe in winter comes from the underground salt mine in Pugwash, Nova Scotia. The word “salary” was derived from the word “salt.” Salt was highly valued and its production was legally restricted in ancient times, so it was historically used as a method of trade and currency. The word “salad” also originated from “salt,” and began with the early Romans salting their leafy greens and vegetables. 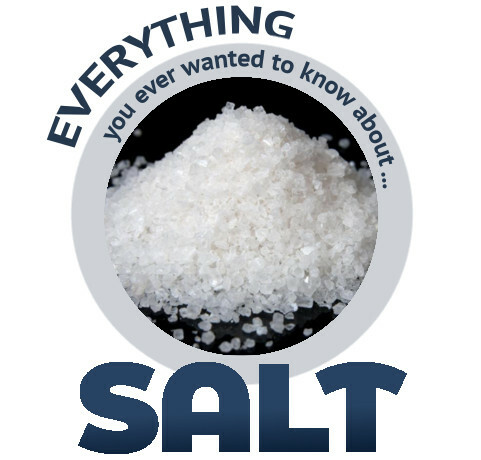 The expression “not worth his salt” stems from the practice of trading slaves for salt in ancient Greece. 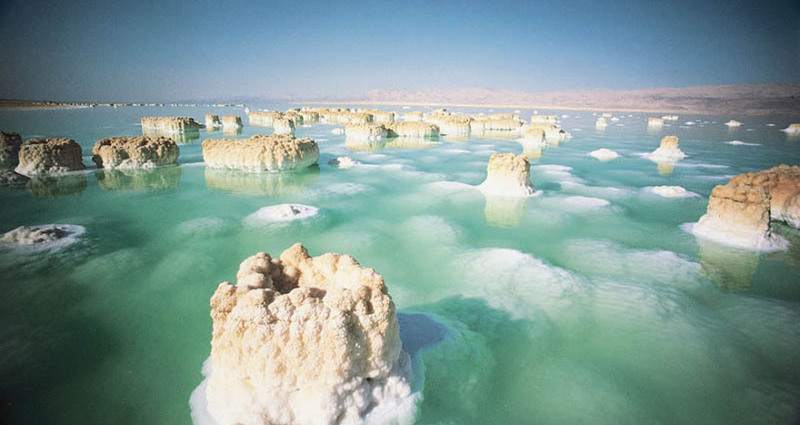 The Dead Sea – bordering Israel, the West Bank and Jordan – is a salt lake whose banks are more than 400m below sea level, the lowest point on dry land. Its famously hypersaline water makes floating easy, and its mineral-rich black mud is used for therapeutic and cosmetic treatments at area resorts. Before computerized special effects, Hollywood often used crushed gypsum or salt to make fake snow. Christmas movies were usually shot in the middle of summer - in California heat - so snow had to be faked! Superman's original Fortress of Solitude? Mainly salt and styrofoam. 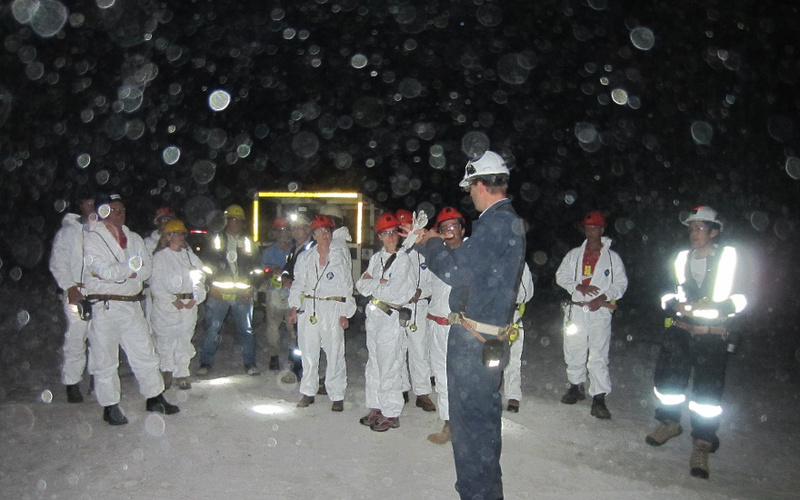 When you take pictures at the underground salt mine in Pugwash, the camera’s flash lights up salt particles that float in the air, making it look like it’s snowing! You can only see the salt particles in pictures, but you can taste the salt in the air when you are underground. Everything at the underground salt mine in Pugwash gets in and out of the mine on an elevator. 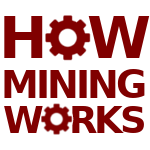 That means vehicles like haul trucks and excavators have to be cut into pieces on the surface, lowered into the mine one piece at a time, and reassembled over 1000 feet underground! In your lifetime, you will use about 30 metric tons of salt. Salt was in general use long before the beginning of recorded history. The history of the world according to salt is simple: animals wore paths to salt licks; men followed; trails became roads, and settlements grew beside them. When the human menu shifted from salt-rich game to cereals, more salt was needed to supplement the diet. But the underground deposits were beyond reach, and the salt sprinkled over the surface was insufficient. 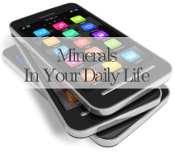 Scarcity kept the mineral precious. As civilization spread, salt became one of the world’s principal trading commodities. As early as the 6th century, in the sub-Sahara, Moorish merchants routinely traded salt ounce-for-ounce for gold. In Abyssinia, slabs of rock salt, called ‘amôlés, became coin of the realm. Each one was about ten inches long and two inches thick. Cakes of salt were also used as money in other areas of central Africa. Most people probably think of salt as simply a white granular food seasoning. In fact, only 6% of all salt manufactured goes into food. We use salt in more than 14,000 different ways from the making of products as varied as plastic, paper, glass, polyester, rubber and fertilisers to household bleach, soaps, detergents and dyes. 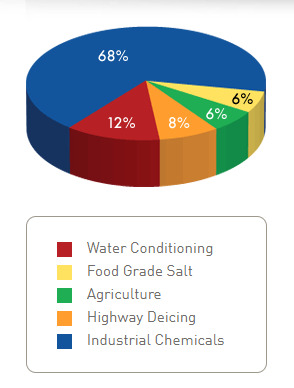 68% of salt is used for manufacturing and other industrial processes. Its major chemical products are caustic soda and chlorine, which are separated by the electrolysis of a pure brine solution. 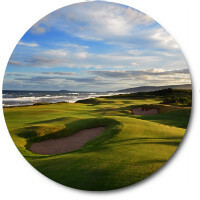 These are used in the manufacture of PVC, plastics, paper pulp and many other inorganic and organic compounds. Salt is also used as a flux in the production of aluminium. For this purpose, a layer of melted salt floats on top of the molten metal and removes iron and other metal contaminants. It is also used in the manufacture of soaps and glycerine, where it is added to the vat to precipitate out the saponified products. As an emulsifier, salt is used in the manufacture of synthetic rubber, and another use is in the firing of pottery, when salt added to the furnace vaporises before condensing onto the surface of the ceramic material, forming a strong glaze. 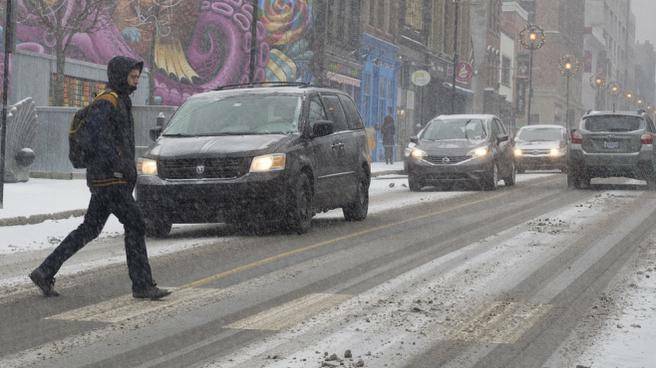 Road Salt: Nova Scotia can have very slippery winters. 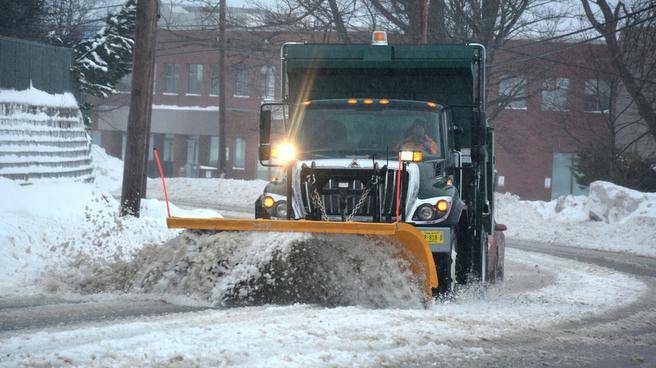 That’s why we use salt on our roads to help keep Nova Scotians safe in winter. 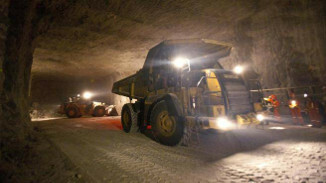 In fact, the salt mine in Pugwash, Nova Scotia, supplies all of our road salt. Textiles: For example leather tanning, finishing of wool and cotton and for dyeing and bleaching. Waste and water treatment: Soft water doesn’t contain the hard minerals like calcium and magnesium that cause scale buildup. And the benefits are countless. Appliances run better, last longer and are cheaper to operate. And studies show that, with soft water, you can use half as much laundry detergent at colder temperatures and still get better results than with hard water. 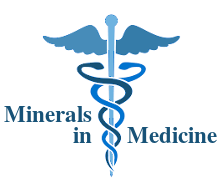 Pharmaceuticals: Salt provides the life essential nutrients sodium and chlorine regulating and impacting many body and hormonal systems. In some medical conditions the ingestions of those nutrients becomes crucial to treat and to reinstall the electrolyte balance in the body. Pampering: It is commonly used in SPAs and health resorts dissolved in baths (bath salts) and for foot baths at home! Sodium, or salt, is essential to good health. It's needed to transmit nerve impulses, contract and relax muscle fibers (including those in the heart and blood vessels), and maintain a proper fluid balance. To survive everyone needs to consume sodium regularly. It is a principal component of a person’s internal environment – the extracelluar fluid. Nutrients reach your body’s cells through these fluids. Sodium facilitates many bodily functions including fluid volume and acid-base balance. An adult human body contains about 250 grams of salt and any excess is naturally excreted by the body. Sodium enables the transmission of nerve impulses around the body. 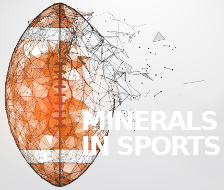 It is an electrolyte, like potassium, calcium and magnesium; it regulates the electrical charges moving in and out of the cells in the body. It controls your taste, smell and tactile processes. The presence of sodium ions is essential for the contraction of muscles, including that largest and most important muscle, the heart. It is fundamental to the operation of signals to and from the brain. Without sufficient sodium your senses would be dulled and your nerves would not function. When the temperature dips to 0°C, water turns to ice. 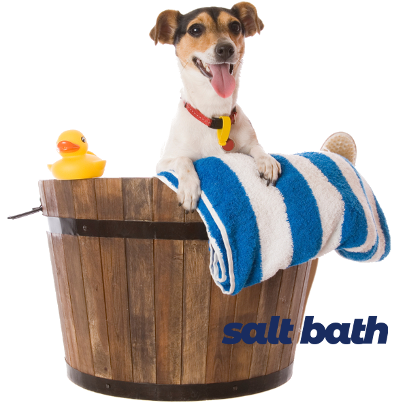 Salt works by dissolving in the water, creating brine that has a lower freezing temperature than pure water. Salt is all around us. Underground and on the earth’s surface in the dried up residues of ancient seas. Some salt has even arrived from outer space in meteors. But our biggest source of salt is in our seas and oceans. With an average of 26 million tonnes per cubic kilometre, sea water offers a seemingly inexhaustible supply which if extracted, would cover the world’s total land mass to a depth of 35 metres. There are many different types and grades of salt and a number of different methods of production. White salt is produced by evaporating ‘solution-mined’ brine in pressure vessels. The rock salt we use for gritting roads comes from mining ancient deposits. In some countries the natural energy of the sun is used to evaporate brine produced from sea water.  Solution mining involves injecting a solvent to dissolve and recover underground soluble salt minerals. The saturated brine is pumped to the surface for recovery via solar evaporation and further processing. Seawater is collected and allowed to evaporate in specially constructed concentration and evaporation ponds. The initial step concentrates the brine to raise the salinity and to allow various calcium, magnesium, and iron compounds to precipitate from solution. The brine circulates among a network of interconnecting gravity-fed ponds, with salinity increasing with each transfer. It takes approximately 2 to 5 years from the time seawater is initially introduced before the first salt is ready for harvest. 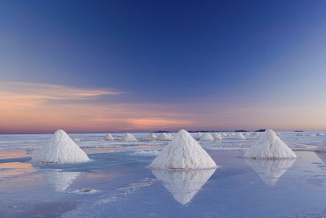 The principles of solar salt concentration and production are similar to those along coastal margins except that salinity of inland lakes usually is greater than that of seawater and a yearly crop of salt can be harvested. As water flows over or beneath the surface, it dissolves minerals from underlying soils and rocks. The salt lakes are topographically lower than most of the surrounding areas and, therefore, become excellent sumps for mineral accumulation. 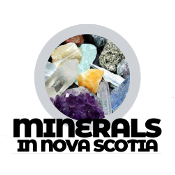 In pre-colonial times the existence of salt springs and brine pools in various parts of the province was known to the Mi'kmaq; the first recorded attempt to extract the mineral occurred at Salt Springs, Pictou County, in 1813 — and was unsuccessful. 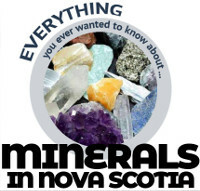 Although salt deposits in Nova Scotia occur in an arc stretching across Hants, Cumberland, Pictou, Antigonish, Inverness and Cape Breton Counties, the Malagash-Nappan-Pugwash area in Cumberland County has historically been the focus of mineral development. In 1857, James Heuson petitioned the provincial government for financial assistance in developing his saltworks already underway at Black River near Springhill, Cumberland County; his argument was that the operation yielded a superior local product suitable for use in butter production. In 1912 salt was discovered in a well at Malagash; this led in 1918 to the opening of Canada's first underground rock-salt mine. It remained in production until 1959, when problems with both ore quality and mine operations forced its closure. 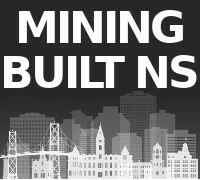 Meanwhile, salt had been discovered in wells in nearby Pugwash in 1953; further testing revealed immense underground reserves which went into production as a replacement mine, the same year that Malagash closed. 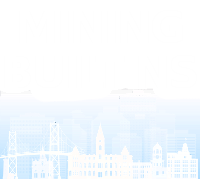 Today, mining at Pugwash (and earlier at Malagash) is done by the room-and-pillar method, drilling and blasting through huge, gleaming underground caverns, then crushing, loading and sending the salt to a mill operation at the surface for screening and evaporation.